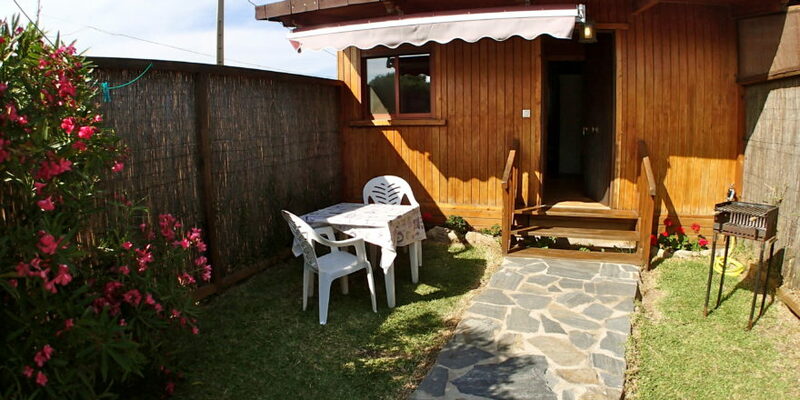 Beachfront Wooden House in El Palmar for two people, 50 metres from the beach. Ideal to relax, unwind and surf. 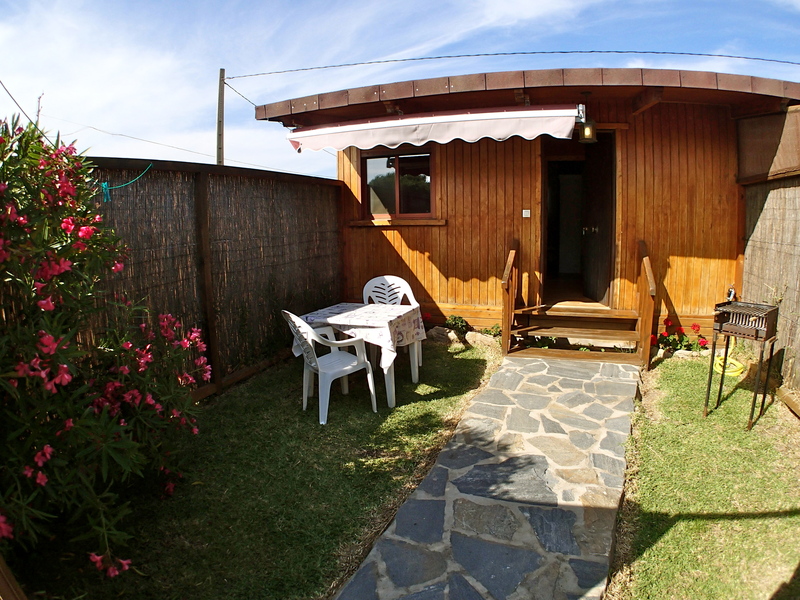 You can enjoy your holiday break all year round in this cabin, which is situated next to one of the best beaches in Spain. 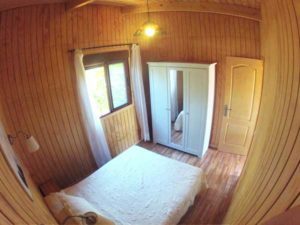 It’s cosy, economical, quiet, homely, safe and cheap, and has a bedroom with a double bed for complete rest and a mirror cabinet. 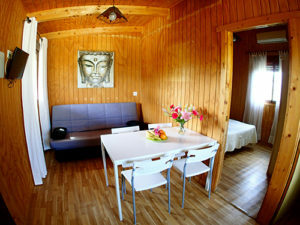 The house also has a sofa bed, plasma TV, fridge freezer, microwave, electric cooker and bathroom with a shower. 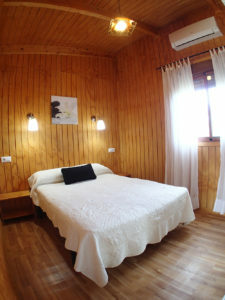 Towels and sheets are included. 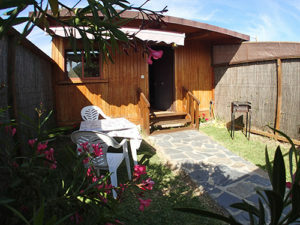 Additionally available are the private garden with barbecue, table and chairs and sunshade, free private parking and Wifi, all in a peaceful family atmosphere. 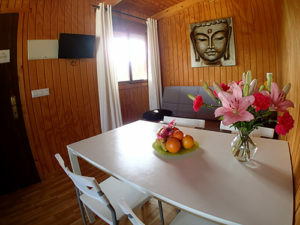 Situated 300m from the El Palmar Tower, the apartment is surrounded by a beautiful and natural environment which is bathed in sunlight for the majority of the year; with the Breña Natural Park on one side, and the protected area of the Castilnovo Tower and peaceful virgin beaches on the other. 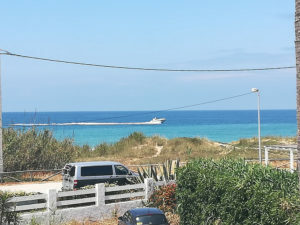 It is located in the La Janda region, next to Conil de la Frontera, on the Costa de la Luz, in Cádiz, Andalusia, and is near to towns of renowned tourist attraction and undisputable beauty such as Vejer de la Frontera, Tarifa, Bolonia, Jerez de la Frontera, and is even very close to neighbouring Morocco…..The owner of the apartment speaks Spanish, English and German and is happy to help. 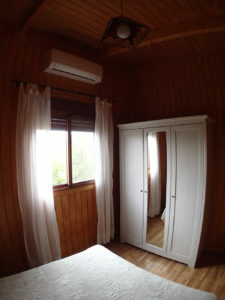 Kind of property Wooden house 25m2 and 25m2 garden. Rental. Acebuche House. 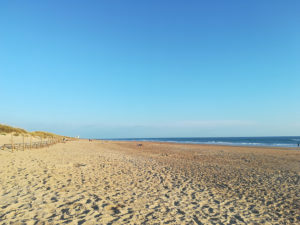 Location Costa de la Luz. 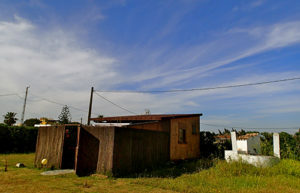 Rural. Ideal for relaxing. Private. 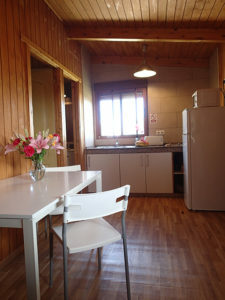 Interior Rooms: 1 bedroom with double bed and mirrored wardrobe, living room with sofa bed, plasma TV and air conditioning, kitchen with hob, bathroom with shower. Distances Conil 3 km, Sevilla 150 km, Cadiz 25 Km. 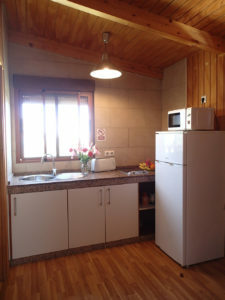 To the beach 50 m, train station 20 km, airport 50 km, center of village 300 m. 100 m to the doctors, hospital 25 kilometers, supermarket 200 m.
Amenities Television. Wifi. Air conditioning, hob, fridge and freezer. Microwave. Garden. Services cutlery /plates and kitchen equipment. Hob, Toaster, Blender, Microwave. 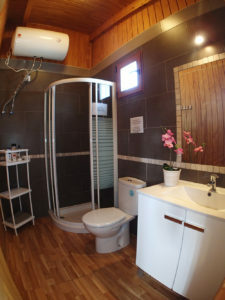 Electricity and water included. Gardener. Surveillance. Activities and Recreation Pizza and Surf School on the premises. Restaurants. Cafes and bars. Nightlife. Cinemas and theaters. Marina. Water sports. Tennis. Hunting. Fishing. Horse Riding. Golf. Panoramic views. Nature walks. Hiking. Adventure sports. Museums. Shops. Health Spa. Natural Park. Festivals. Spanish Horses. Typical festivals Flamenco. Bullfights. Spanish Horses.